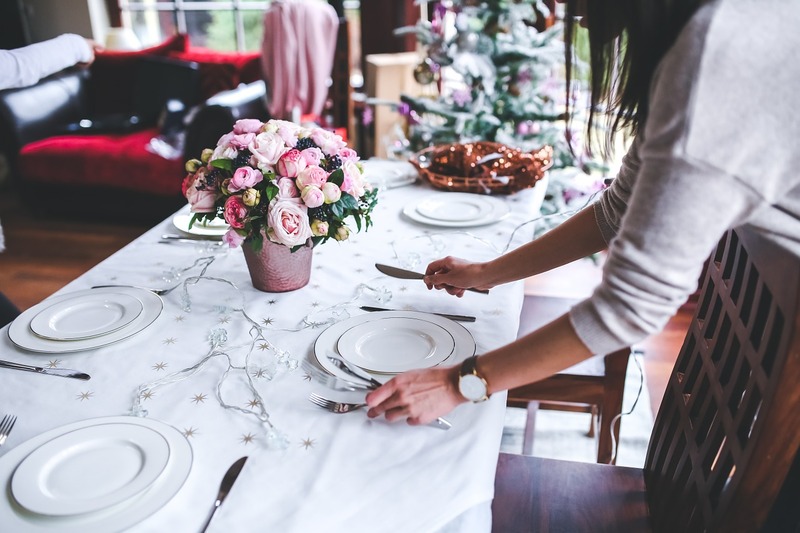 It is fun and enjoyable to eat out with friends over Christmas but restaurant food is often designed to entice and stimulate the taste buds rather than support long term health goals. At restaurants, food usually has to appeal to a broad range of individuals and may not support your unique constitution. Sometimes as a result we may experience gas, bloating, heartburn, sometimes constipation, sleep disruption and a little weight gain or puffiness from the excess use of salt. However we can still make some right choices when eating out and maintain our Ayurvedic eating principles. If you can, have your meal at lunch time, or in the early evening, followed by an evening walk to help you digest the food. Your body is better able to digest food earlier in the day, process toxins and burn off any excess calories. Choose a healthy restaurant, if you can, that is known for freshly prepared, seasonal, local food. Eat lightly and simply in the meals both before and after your restaurant meal and don’t let yourself get too hungry before you eat out. At the restaurant, eat a responsible portion of food and order vegetable side dishes or incorporate a salad. The roughage of the salad helps elimination, the bitter taste increases bile production and flushes the gall bladder, helping you digest heavy fats, and the sour taste of vinegar in the salad dressing helps in fat metabolism by stimulating bile production. Chew your food well, as saliva has digestive enzymes. Order hot water with lemon as it cultivates digestive fire and the sour taste of lemon improves digestion. Don’t drink ice water, cold or carbonated drinks as they extinguish digestive fire, disrupting the digestive process. Favour simpler foods with fewer ingredients that are easier to digest, and avoid the complimentary bread and butter. Minimize cream sauces, excessive cheese, carbs, fried food and too much salt especially if you are trying to lose weight. Black pepper and ginger will help digestion, as will the parsley garnish. It’s also important to focus on being thankful for the food provided and enjoy the quality time spent with your loved ones and friends, have fun, laugh a lot and don’t worry excessively about the food. Food is an important way to build relationships, and having friends and socializing is also excellent for your health and happiness. Enjoy the lead-up to Christmas.